For each site you want to advertise you need to define one or more ads. Currently ProjectX supports the standard ad format of 125 x 125 pixels. You should first design the ads you want to use in a suitable bitmap program, such as Photoshop or Fireworks. Click the New Ad button. A new ad called Ad 1 is created, and the Settings tab lets you upload a graphic for the ad. 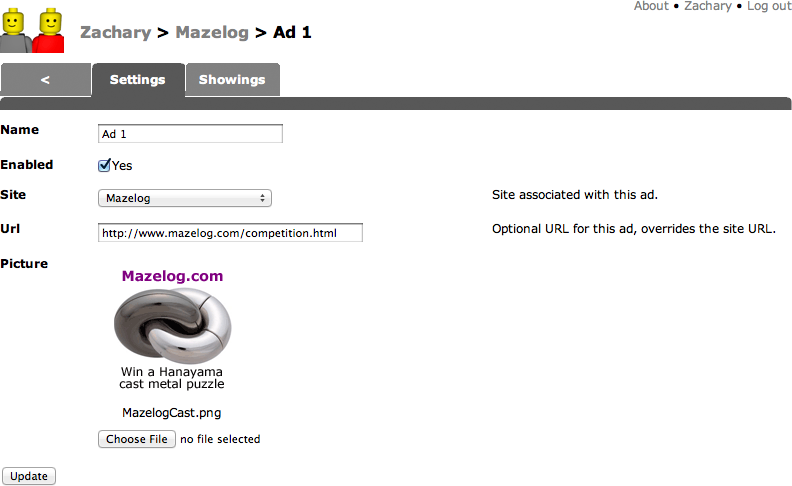 Click the Choose File button and select the graphic file for the ad. If the ad should link to a specific page on your site enter the address in the Url field.